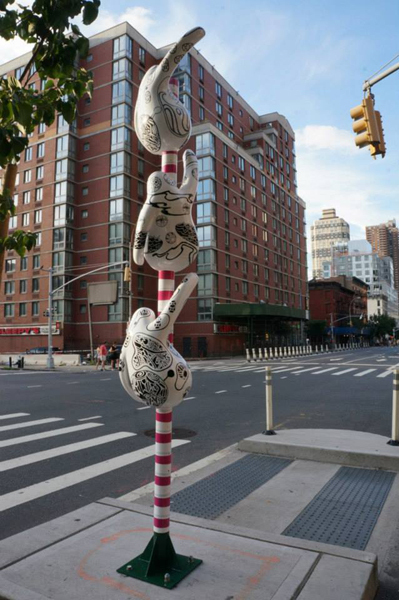 New York City, NY, August 20, 2013 – The International Studio & Curatorial Program (ISCP) and the New York City Department of Transportation’s (DOT) Urban Art Program are pleased to announce Tang-Wei Hsu’s Monkey Magic, a new artwork produced for the pedestrian safety island at 9th Avenue and 36th Street in Manhattan. 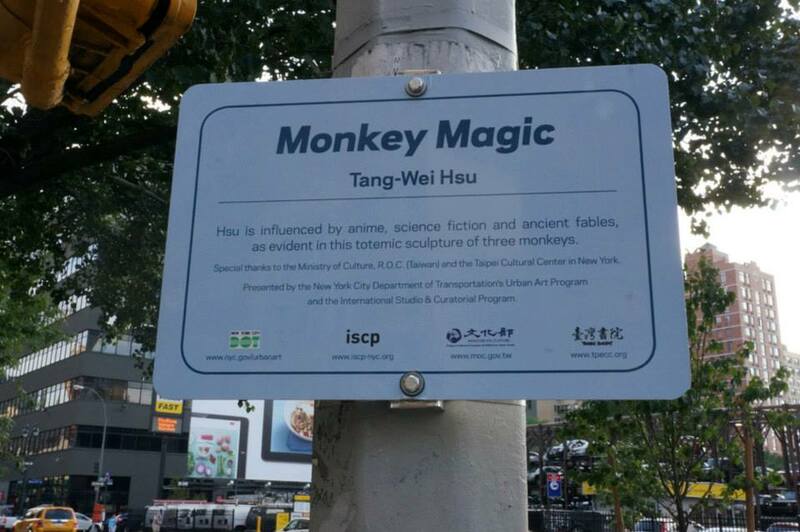 Monkey Magic, continues Tang-Wei Hsu’s use of anime and science fiction-influenced graphics. 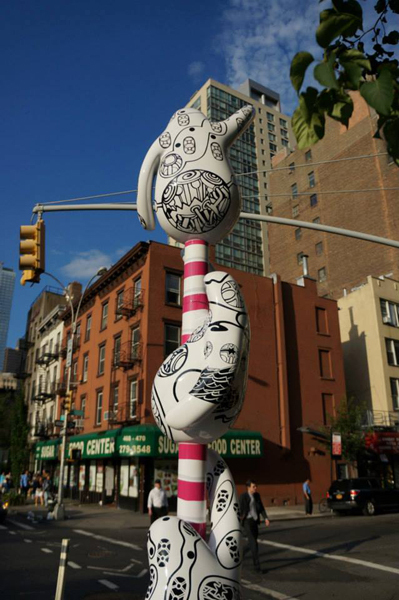 This totemic sculpture references the ancient South Asian fables Three Monkeys and The Journey to the West as well as Hsu’s own experience in New York where he has lived intermittently for the past three years. Coated with symbols of both landscape and manufacturing, the figures extend into the surrounding bustle, offering brief respite to passersby. Tang-Wei Hsu obtained an MFA in Architecture at the Tainan National University of the Arts. Hsu’s paintings begin from an imagined fantasy space extending into installation, sculpture and public art. His solo exhibitions include Sphere of Planetesimals, National Central University Art Center, Taiwan; Evolutionism, Gallery J. Chen, Taipei, Taiwan; Dredging Up the Drift, ITPARK Gallery, Taipei; Fantasy, Art Center of Hsinchu University of Education, Follower, Shin Leh Yuan Art Space, Taipei. Group exhibitions include Art Fair Tokyo, Tokyo; China International Gallery Exposition (CIGE 2009), China World Trade Center Exhibition Hall, Beijing. Hsu was awarded the Asian Cultural Council Fellowship and the National Culture and Arts Foundation Creative Subsidy, Taiwan. 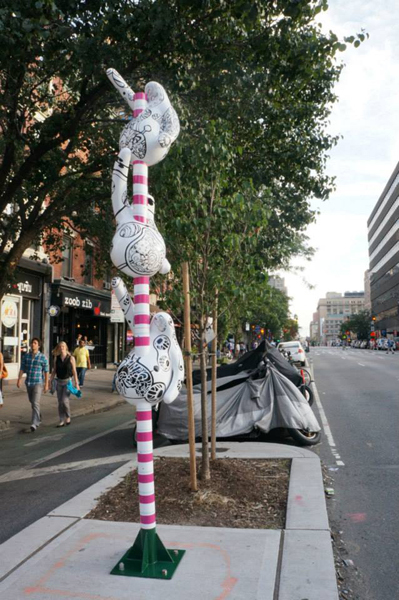 The New York City Department of Transportation launched the Urban Art Program in October 2008 to invigorate the City’s streetscapes with engaging temporary art installations. 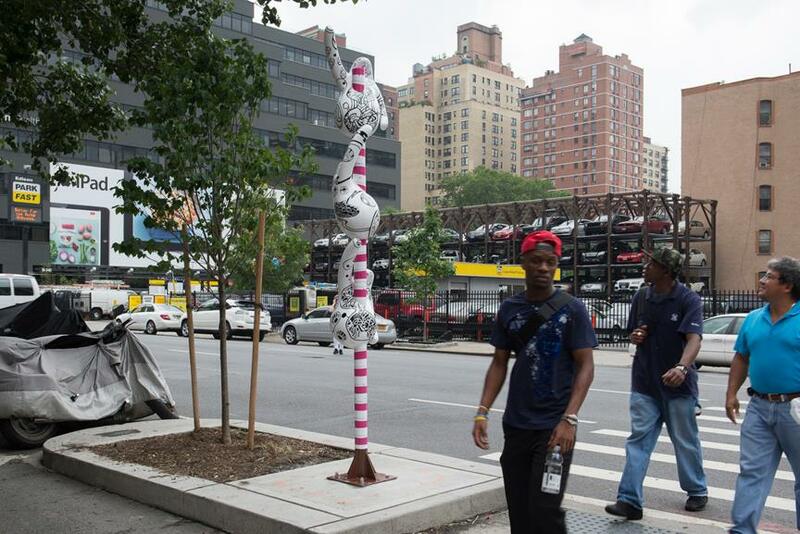 The Program partners with community organizations and artists to present murals, sculptures, projections, and performances on public property such as plazas, fences, barriers, footbridges, and sidewalks. Location: 9th Avenue at 36th Street, Manhattan, NY.